This drought tolerant, hardy Ontario perennial is a great choice for any meadow application. 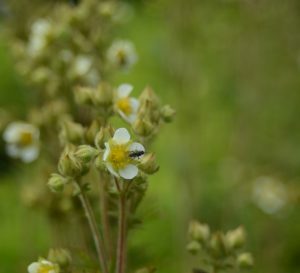 It displays small, 5 petal white flowers that are particularly attractive to smaller pollinators such as native bees and flies. The tall cinquefoil can tolerate some clay and rocky soil.